Aaah hello there lovely people! Apologies for the MIA last week. Our internet was down from Wednesday hence the non existent posting. 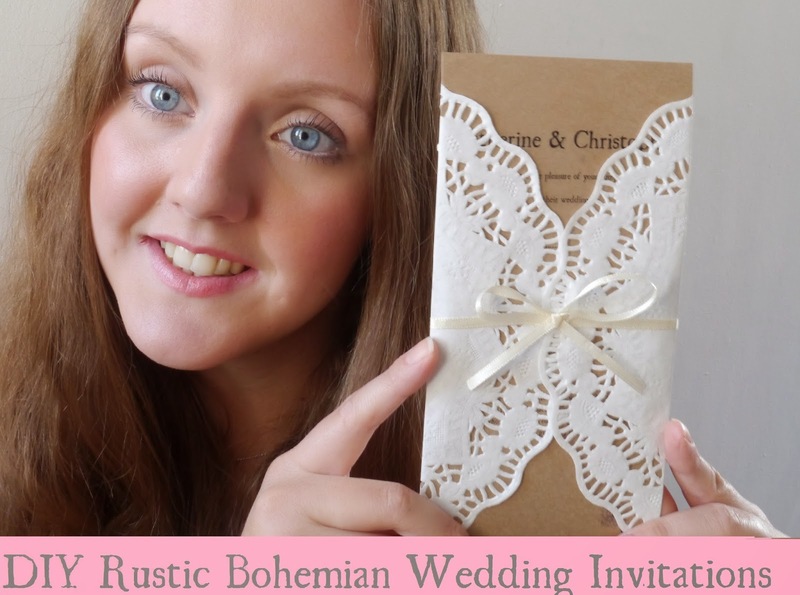 I've had major internet withdrawal symptoms so without furthur ado, here's my latest post: DIY Rustic Wedding Invites! 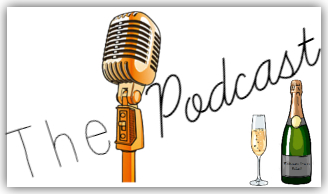 So for any long-term readers of my blog you will know that my wedding is this July and coming around very very quickly. 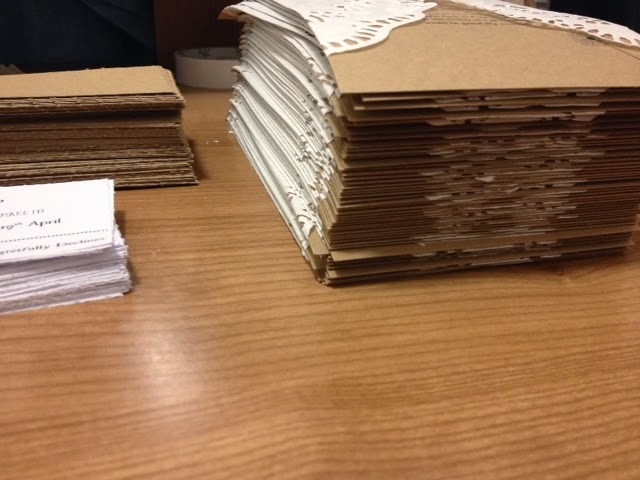 Being a crafter at heart I couldn’t bare the idea of manufactured wedding invites or worse- someone else hand making them for me! I’d researched various ideas but finally settled with these. I wanted to keep with the rustic theme as detailed in our wedding and our save the dates I made (see blog post here) so came up with this simple and effective design. I think the brown card gives the rustic bohemian feel with the paper doilies giving a pretty “lace” effect to the invites. Anyway onto the making! Take your card of choice and place in the centre of your doily. Make two folds either side of the card so that the doily folds and meets in the centre of your card. Note: When choosing your size card, ensure that the doilies you choose are twice the width to ensure they meet in the middle of your card. Using double sided sticky tape, apply pieces to each corner of the centre section of the doily. Next place your card in the centre and smooth down over the doily to secure. Trim any excess edges off of the doily if necessary. Next take a length of ribbon. I didn't measure an exact length, just enough to go around the entire width of the card and enough excess to tie a bow. Take a small piece of double sided sticky tape and place on the back on the card in the centre. Secure the centre of the ribbon to the sticky tape. Turn the invitation over and cut another two small pieces of double sided sticky tape. Place at the edges of the doily folds and secure ribbon over the top. Finally, tie the ends of the ribbon into a bow in the centre of the invitation. Cut off any excess ribbon as required. And voila! You have a rustic wedding invitation. It's super easy but they look so cute! As you can see below I have made many many many invitations, 120 to be precise! The great thing is they were so simple which meant I could get them made in a reasonable time frame to send to guests. 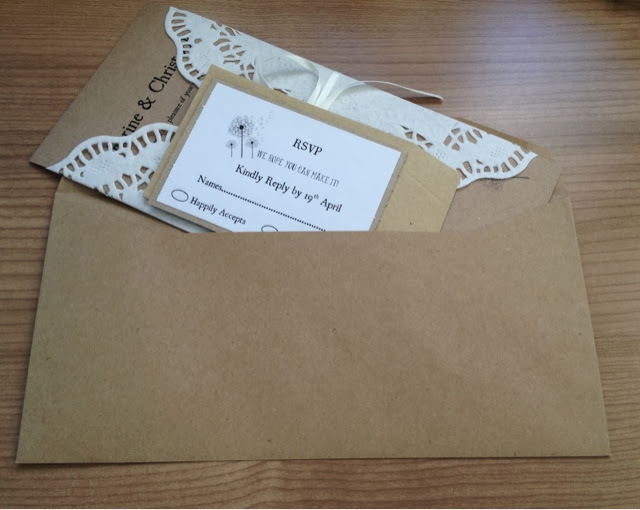 I also made matching RSVP cards using a template I made on a word document and simple mounted them onto brown card to fit in the mini envelopes- how cute!? I hope you enjoyed this post. Please let me know if you decide to make these yourself! Much cheaper more fun and also more personal than having manufactured wedding invites. 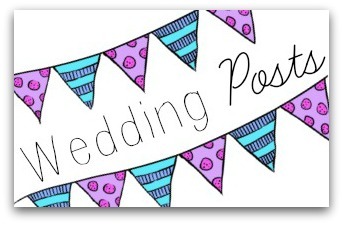 Stay tuned for wedding place cards and wedding favours in the future on my blog! 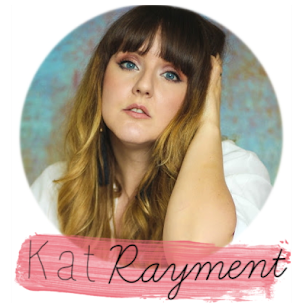 Don't forget to check out the video to see me making these too! Where did you get your doilies from? I found that when I purchased doilies and did the same, they were much thinner and didn't look correct. Please advise. 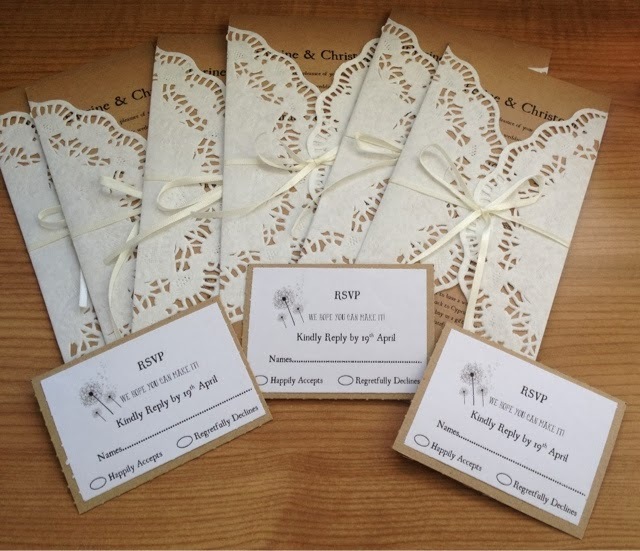 Can I ask how you made the invitations and which size they are? Lovely... may I have the measure of the Paper doilies and card of invitation? Did you print these on a home computer? Hi my name is Jessica I would love to do this for my wedding, do you have a template that I can copy would you be able to email me the template @ jvelez0000@att.net. thank you. I love love love your diy's. it's me Jessica again, I think I gave you the wrong email its jvelez0000@att.net there are 4 zeros in my email. thank you again. Amazingly Designed. These Wedding Invitations are perfect for any wedding ceremony. 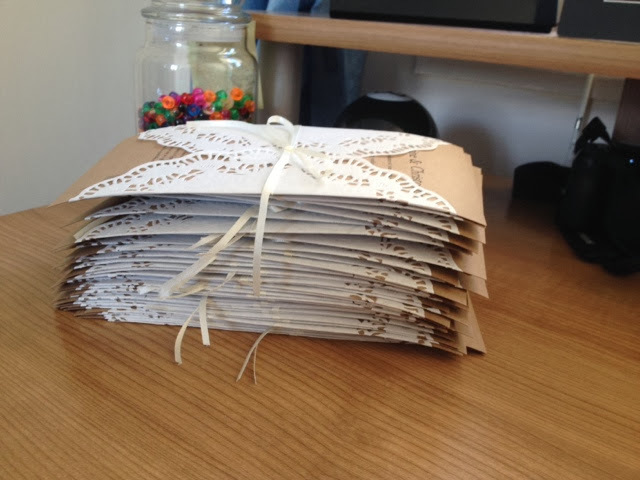 Gorgeous DIY Rustic Wedding Invites.